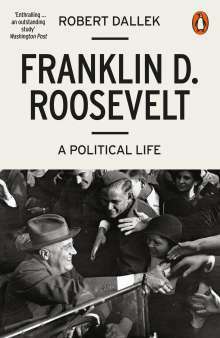 Der Artikel Robert Dallek: Franklin D. Roosevelt wurde in den Warenkorb gelegt. Robert Dallek is the author of ten books, including his two-volume biography of Lyndon Johnson, Lone Star Rising and Flawed Giant (both OUP), and Nixon and Kissinger. His writing has also appeared in the New York Times, Washington Post, Los Angeles Times, Boston Globe, Wall Street Journal, Vanity Fair, and other publications.